Does creativity have relevance when medical experts get serious? 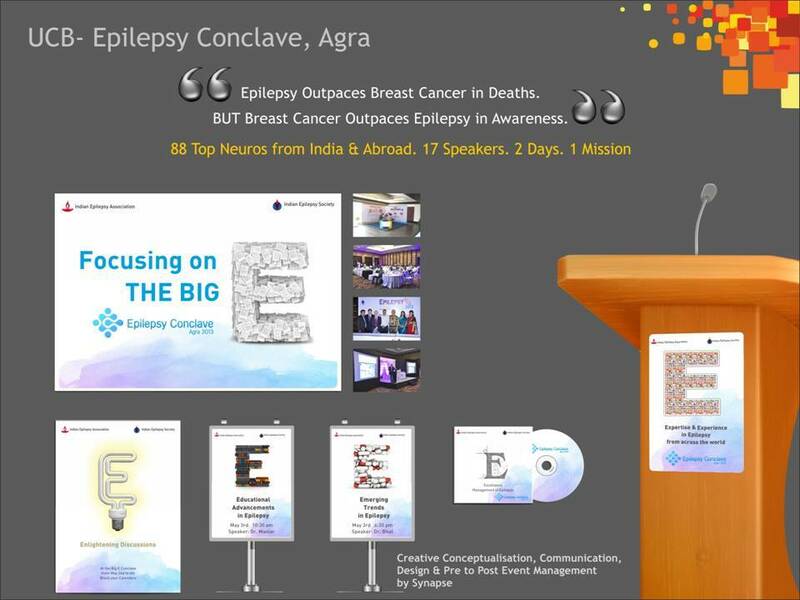 The clear and simple brief from the Epilepsy Association of India and the UCB Pharma Team was to conceptualize and handle a conference on epilepsy in India, at Agra. Leading neurologists were invited and it was a major step in the brand building and relationship company’s and associations image. We understood the seriousness of the project and put on our thinking caps. A lot of scribbles and thoughts on the way back to office till our desks. We fed on articles and a lot of articles to find something interesting for a couple of days. Our research clearly stated that Epilepsy is not considered as a medical condition. People who get seizures are beaten up, given socks to smell, and done all sorts of weird things as people feel they are possessed. So we realized awareness of this disease is very low. We knew that creating awareness could be a very good theme for the conclave. But how to do it, was the question. What was an amazing fact to support our research! A few more facts like Cancer is known as the big C were scribbled around while doing the research. An intellectual intervention happened when we started joining the dots. Epilepsy should be The BIG E.
‘The BIG C’ to “The Big E”. Now that was a game changing thought. The internal team was convinced so all the efforts were now shifted on communicating the same through our creatives. With a lot of conviction the creatives were made and the presentation was ready. Laptop, charger, energy, enthusiasm and of course a great team work was compiled and presented to the UCB team. A great idea and a good team work really paid back. We got to organize The Big E conclave involving top 88 Neuros from India and Abroad, 17 speakers for 2 days all coming together to achieve 1 mission. Starting from the messaging to the communication look feel. Right from the pre-event deliverables, to the actual event collaterals – Synapse was involved in the entire process. Needless to say the event was a great success. 88 neuros attended the power packed conefernce, and they all came out beaming with the arrangements and powerful ideas. So involving were the sessions, that they barely managed to take time out to see the Taj Mahal.